On Friday March 7th, Dr. Tamara Leech, of the FSPH Social & Behavioral Sciences Department, participated in an invited panel presentation at the 2014 International Women’s Day Symposium. The theme of the symposium, “Inspiring Change,” was selected by the United Nations to encourage positive action for women’s advancement everywhere in every way. The Indianapolis event was organized by the Association of International Women and held at the Landmarks Center. Dr. Leech discussed her asset-focused work with vulnerable communities, in particular the Fearless Dialogues Initiative and the GrassRoots Community Foundation. 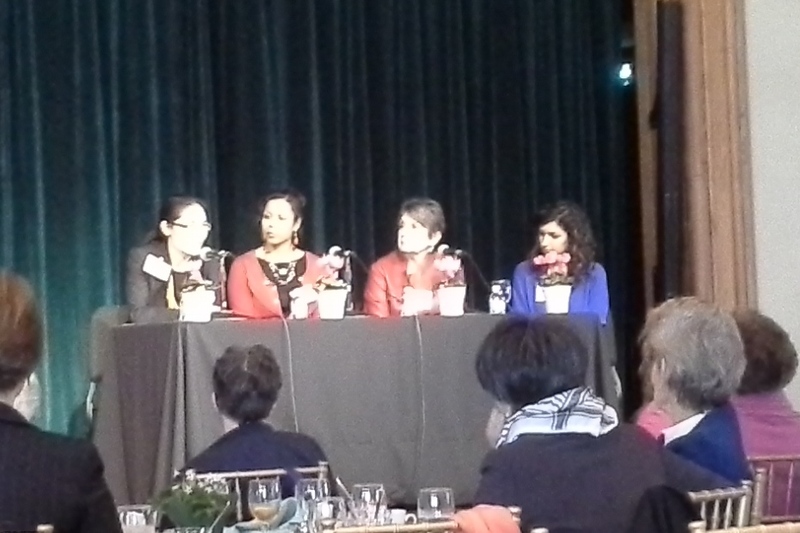 The four-member panel shared diverse and rich perspectives about work and life. Co-Panelists with Dr. Leech were: Tirajeh Saadatzadeh, IU medical student, ambassador to AMPATH and co-founder of the Community Lights Programme in Kenya; May Oo Mutraw, legal scholar and founder of the Burmese Community Center for Education; and Ruth Van Reken, international speaker, writer and co-founder of Families in Global Transition, Inc.